Dorothea Lange (1895-1965) is recognized as one of the most important photographers of the twentieth century, and her insightful and compassionate work has exerted a profound influence on the development of modern documentary photography. With hardship and human suffering as a consistent theme throughout her career, Lange created arresting portraits with the aim of sparking reform. This is the first exhibition to examine her work through the lens of social and political activism, presenting iconic photographs from the Great Depression, the grim conditions of incarcerated Japanese Americans during World War II, and inequity in our judicial system in the 1950s. The exhibition encompasses 300 objects, including 130 vintage and modern photographs, proof sheets, letters, a video, and other personal memorabilia. 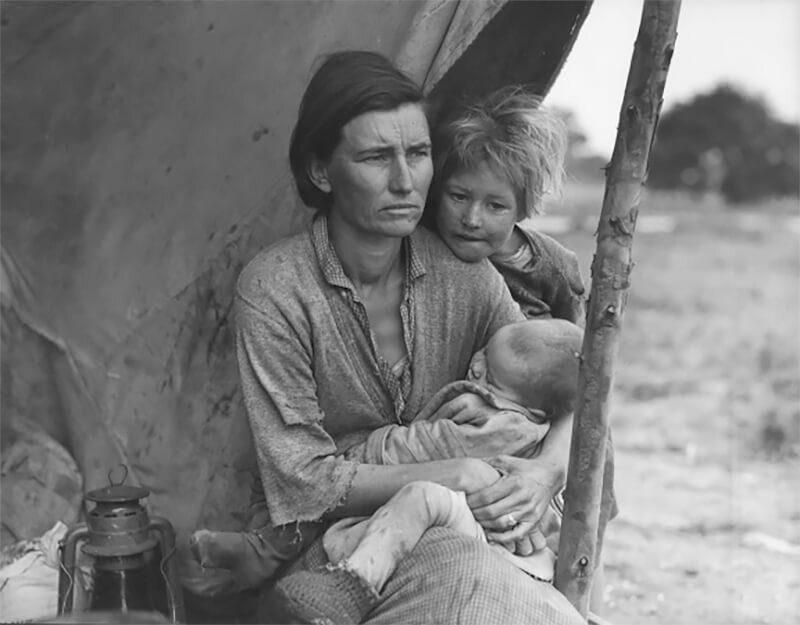 Dorothea Lange: Politics of Seeing is supported in part by the Oakland Museum Women's Board, the Henry Luce Foundation, the Susie Tompkins Buell Fund, Ann Hatch and Paul Discoe, the Robert Mapplethorpe Foundation, and Peter Rossi/Stifel, Nicolaus & Co.